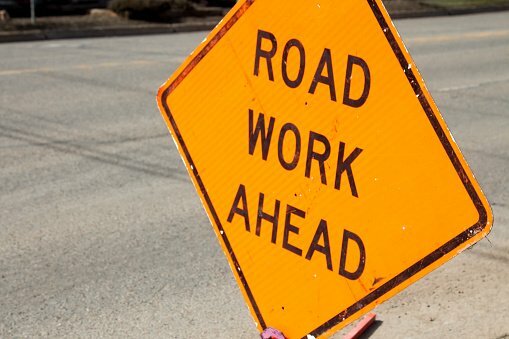 A Virginia Department of Transportation official said the Northern Virginia District has about 7,500 lane-miles that qualify for paving, but only enough money to fix about 1,000 lane-miles a year. WASHINGTON – Turn out of the driveway and hit a pothole. But rumble along out to a main road or highway, and it may turn into smooth sailing. The Virginia Department of Transportation rates more than six out of 10 lane-miles on secondary roads in Loudoun, Fairfax and Prince William counties as poor or very poor. Based on ratings in the last year or so by a high-tech contractor, VDOT’s Allison Richter told Fairfax County supervisors last week that the Northern Virginia District has about 7,500 lane-miles that qualify for paving, including highways in Arlington County and the cities and towns within the area. VDOT aims to keep between 63 and 82 percent of interstate and primary road lane-miles in Northern Virginia in fair or better condition. Secondary roads are well below that target; VDOT’s short-term goal is to get 42 percent of secondary lane-miles into fair or better condition by next year. A lane-mile is a measure of the amount of pavement the state is responsible for. For example, one mile of a one-lane road would be one lane-mile; one mile of a two-lane road is two-lane miles, and one mile of a highway that is four lanes in each direction is eight lane-miles. Around 93 percent of interstate lane-miles in the region are in fair or better condition, and primary roads are above 87 percent in fair or better condition now. Over the last five years, VDOT has paved 136 lane-miles of interstate in Fairfax County (19 percent of the county’s interstate lane-miles), 215 lane-miles of primary roads (12 percent) and 1,891 lane-miles of secondary roads (17 percent). Secondary roads, such as subdivision or side streets, saw a bump in paving money starting in late 2014. Primary road paving money has remained relatively flat. Richter said, however, that that bump isn’t enough to make up for underspending on secondary roads going back about a decade. “Unfortunately, the secondary roads really started to deteriorate and this map does a good job of showing kind of how widespread that problem is throughout Northern Virginia,” Richter said.